Two copies of a sepia-colored photograph of the Priest Family. The Priests ran the Central Market, at the corner of Nason and Summer Streets. 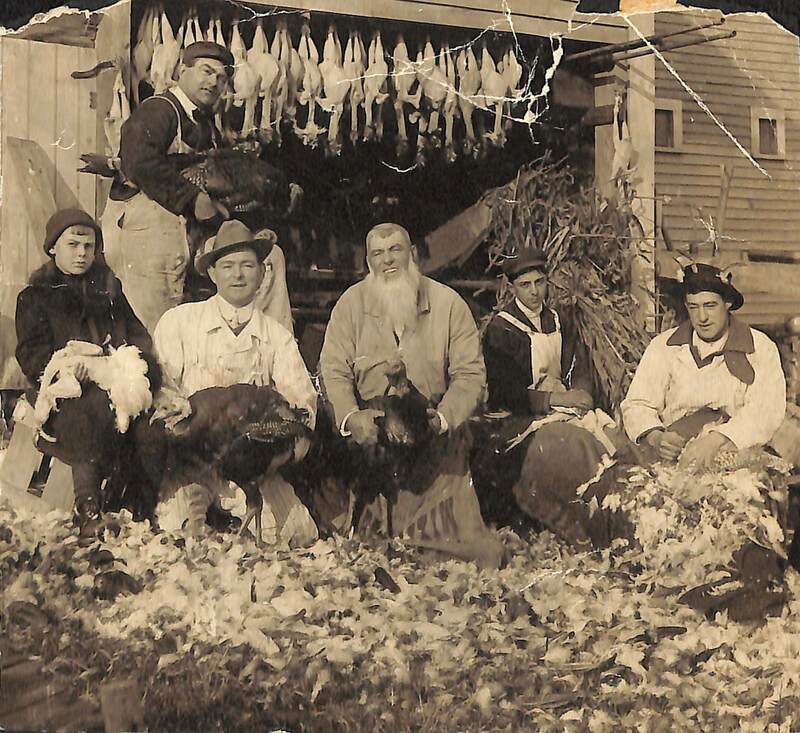 The photo captures the Priest family plucking chickens- considered to be serious business by the family- in preparation of the holidays. Seated (l-r): Roland Priest, Walter Priest, William Priest, "Si" Parker, and James Priest. On loan from Dorothy Alving. Geo. D. Elson, Maynard, MA, “The Priest Family - Getting Ready for the Holidays,” Maynard Historical Society Archives, accessed April 25, 2019, http://collection.maynardhistory.org/items/show/3692.